Some records take time to reveal their charms, even if they give you the impression from the outset that they’ll be right up your street. Those slow-burn records can be faintly foolish choices for record club; as we’ve discussed many times, some types of record really lend themselves to this type of communal, concentrated, critical listening (with much babbling and consumption of curry atop the actual music), while others really don’t. 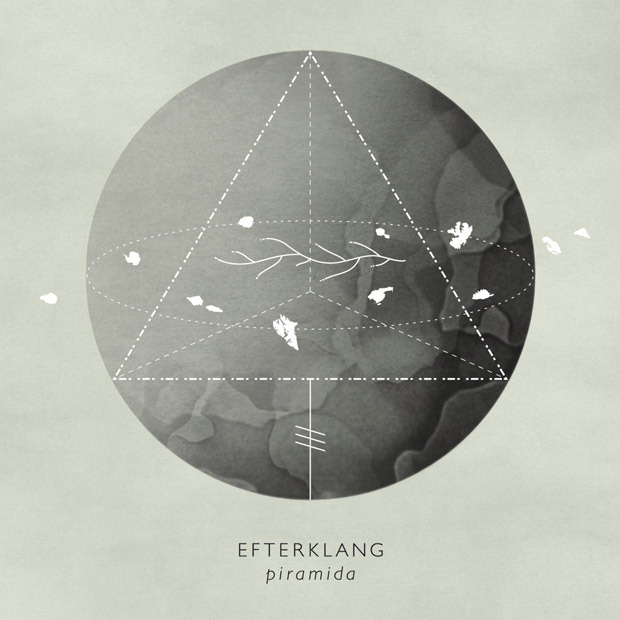 Efterklang are Danish (their name comes from the Danish for ‘remembrance’ or ‘reverberation’, according to Wikipedia), and I bought Piramida, their fourth album, at the tail end of 2012, the year it was released, after it received glowing reviews and various end-of-year-list plaudits. It’s taken me until this spring to feel like I ‘get’ it, although straight away I could tell it was really beautifully crafted, which is why I was intrigued to see how it would fare at record club. Unusually for me I followed the typical approach pattern of the other guys, and played Piramida several times in the run-up to our meeting. Ostensibly an indie band, Efterklang are clearly au fait with various strains of ambient and electronic music. For this record they travelled to Piramida, a deserted Russian town inside the arctic circle (gorgeous pictures of the abandoned buildings decorate the sleeve) and recorded a host of ambient sounds of nothing happening in a place where nobody lives, which they then interpolated into the gentle, slow-paced, elegiac songs that comprise the album. Decorated with intriguing percussion and beautiful touches of brass, as well as guitar, drums, keyboards, and various other bits and bobs including xylophone, synths, and choirs, the band concoct a beautiful, beatific, and faintly melancholic bedrock over which the vocals are delivered with a similar kind of linguistic remove to The Notwist; a sort of pseudo-medicated calm, the lyrics all words that I recognize but put together in phrases that, though they have a quiet emotional impact, don’t make any kind of cogent ‘sense’ to me. But that doesn’t matter, because, as Paul Draper once sang, the lyrics are just a vehicle for a lovely voice. I’ll not make any great claims for this record – it’s not a life-changer – but it is a beautiful, affecting record, with the kind of low-key atmosphere and emotion that will prompt multiple plays and probably not see you tire of it any time soon. A slow-burner, in other words.